Start your day the right way, the Sadowsky way. New mug style for 2019. Love my Sadowsky mugs! Unique design, with Sadowsky logo on one side & an accurate depiction of the NYC skyline on the other, and very comfortable and well-balanced. A welcome addition to the online store! These 12oz mugs are the perfect size and shape! They feel weighted at the bottom so the mug will not tip over. 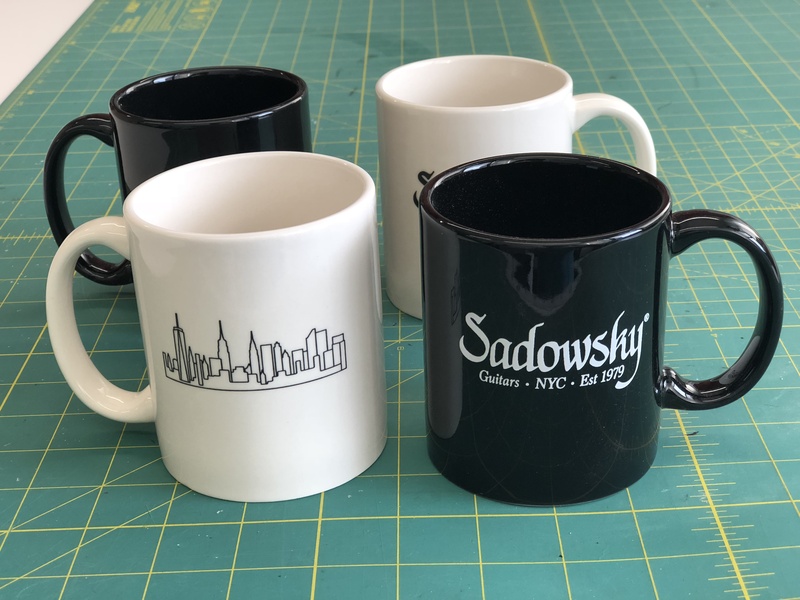 Love the color scheme, NYC skyline, and the Sadowsky logo artwork on the mug! The handle is just the right size and provides for a firm, comfortable and balanced grip. I have small hands and can get 3 fingers in the loop comfortably. HIGHLY recommended!